Our patients' satisfaction and health are most important for us and thats why it is our standard mode of dealing that the patient receives several versions of the treatment plan. They differ in aesthetic, durability, mechanic resistance, length of treatment and price. Each of those versions is thoroughly discussed with the patient (presentation on modells and in case of treatment with implants on 3d computer animations) but it's always the patient who decides which option he is interested in.We use only tested and the best state-of-the-art materials. INDEXMEDICA dental clinic has the authorization of such companies as Nobel Biocare® (Sweden), 3i® (USA), ANKYLOS Dentsply-Friadent® (USA-Germany), 3M ESPE® (USA-Germany), Mectron® (Italy), Ecolab® (USA), Beyond (USA), VDW® (Germany) and Global® (USA).The written treatment plan/cost estimate is always prepared after a detailed examination performed by our experienced specialists at our clinic and analyzing of the panoramic X-ray.We are happy to prepare a preliminary treatment plan/cost estimate if you send us your panoramic X-ray by e-mail or mail. 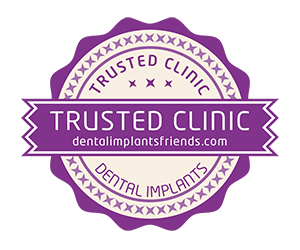 Below you can find some examples of prices for the most popular dental treatments. On signing the treatment plan, before commencing each stage of treatment, we kindly ask the patient to pay a deposit of 40% of the total price for that stage. 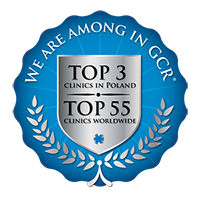 The balance is then due at the end of each stage of treatment at the Clinic.Payment for your treatment could be made by cash (in Pounds, Euros or Polish Złoty) or by card (only in Polish Złoty). We do not accept American Express or Diners Club cards. Should you use debit or credit card, please make sure before your trip, that your bank has not set up any day limits. If so, it is your responsibility to have enough money on your last day to settle the balance of your bill. We do not accept American Express and Diners Club credit or debit cards.